With Q-Flow solutions, there is no more rifling through multiple applications and locations. Workflow is 100% visible to your teams allowing everyone to be on the same page. Q-Flow solutions provide the tools and analytics to understand how you are performing and where you are going. Below is a list of some of the workflow management solutions we offer. Contact us to see how we can help your organization. Creative projects are often subject to the dreaded "creative spiral". CreativeQ helps manage the workflow, allowing your sales and creative teams to work together. CreativeQ facilitates online tracking of design jobs, and the management of all creative brief submissions. Track the number of revisions, turn-around time, notes and files related to creative process. Know which artists are working on what jobs. Keep supporting files such as logos and photos in one place. CreativeQ also archives the artwork projects into a Creative Image Bank that is searchable so ideas can be used in multiple geographical areas or referred to when that customer engages in a new campaign. TrackerQ is your project tracker. Efficiently track bids from quote to award. Track your projects from launch to close out. 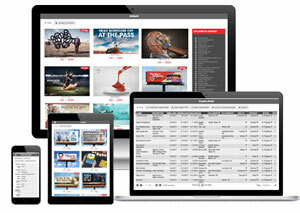 It is easily customized to fit your workflow, without the unwanted feature bloat. Allow your field techs to post site photos and upload close out reports for the projects they are assigned to. All while in the field easily utlizing a tablet or phone. See your total bid amounts, current project estimated amounts as well as job totals. Reporting and analytics help identify where your organization is excelling and where team members can improve. SalesQ is a customer relationship management (CRM) system. 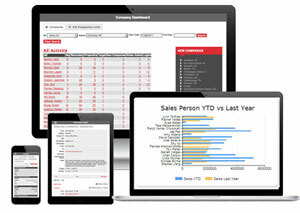 It allows your sales team to manage prospective and active clients. Managers can track account executive (AE) activity (or inactivity) for each client. It allows an AE to create sales projections and allows reporting of these by month/term and market. 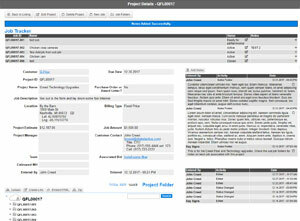 Transfer and link the client information into our project management system or your own. If you are already using a CRM such as Salesforce but are tired of the costs, feature bloat, and inflexibility, we can migrate your data into SalesQ and greatly reduce your costs while giving you a custom solution that fits your flow. Contact us to discuss how SalesQ can be your cost effective CRM. ResearchQ is a research participant management and scheduling system. We have developed custom workflow management system for a wide range of industries, from large corporations, non-profits, education, and small businesses. Contact us to discuss how we can solve your workflow headaches.